So, are you planning to go on a hike and camp outdoors? Are you worried you might just leave behind important gears due to lack of space in your bag? Or is your bag too heavy that you decided to cut down on your gear? Or you are simply looking for a backpack to fit into your budget. If you’re in a hurry, here are our two favorite hiking backpack under $200 in this review. 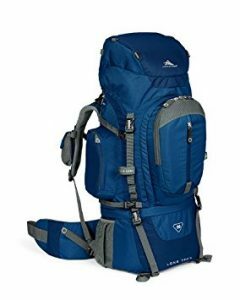 I am here to share with you 10 best hiking backpacks under $200 that would ease your search slight easier. When I first bought my backpack I looked for a lighter bag so that I could stash in a lot of my stuff but looks like that’s not it. I had a lot of difficulties managing the shoulder weight and the lack of ventilation on the back ruined my trip. Yes, a little bit of heads up would have saved me from a lot of trouble. So, here are my 10 best comfortable hiking backpacks under $200. Why are Hiking Backpacks Necessary? ● Dual mesh pockets on either side. ● Lower sleeping bag compartment and a zip that allows access to the main compartment. These 10 Best Hiking Backpack under $200 were not only interesting to enlist but also I was actually happy and satisfied to mention them. These are the ones you should look out for, you will love it. With AirSpeed suspension, torso specific sizing and ergonomic design, Osprey Packs Exos 48 Backpack takes you a long way, well literally. Adieu to the sore back and neck. This bag is a gel of comfort and fit. It is lightweight and my favorite too. What more would you want? The innovative material design it gives you a sleek design without having to compromise your health and comfort. That too, in your budget. When you hike, every ounce counts, with this backpack you can cut back on the weight by removing the top lid and use the internally attached lid. It sure promises to shave off some extra weight. Perimeter metal framing gives you the balance that you require so that the weight of the backpack doesn’t drain you. Highly stretchable side mesh pockets gives your extra space for tent poles or water bottles. This is specially made for hikers and backpackers and comes in 3 sizes S, M and L. Choose accordingly and enjoy. Here is another Hiking backpack that is convenient and multifunctional. The North Face Terra 65 Hiking Pack is a 64-liter backpack that keeps your hiking comfortable and efficient. It has an inbuilt hydration system that allows you refresh yourself as you proceed. No need to spare your time to stop and look for your bottles. A top cover opens the backpack and has a large opening that can be easily closed with a drawstring. Want to reach for your purse that you put somewhere inside the bag and you wonder how? No worries, with the long zipper at the side, gives you access to the main compartment. How easy is that? With a large bottom pocket, you can stash up your tent or sleeping bag. And there is more, you can also have access to the main compartment from here. The sides have compression straps, loops, some small hooks and some mesh pockets for easily accessible stuff. Velcro straps on the shoulder section assure you precise adjustments. So you can personify your pack. H igh Sierra Titan 55 Frame Pack is the latest technology backpack which is both comfortable and easily accessible. Especially because of its external pockets, it is easy to give each of your stuff its separate space so that you don’t have to spend time on searching for things. And I am someone who likes to have many externals pockets, how about you? It has a separate sleeping bag compartment as well a rain cover section inside it. How smart is that? That is not just yet. It has a strap that holds your personal water reservoir the can be attached to the hydration unit to keep you hydrated through your journey. I just love this personalized idea. Remember the side mesh pockets? This bag gives you doubled mesh pockets, that means 2 pockets on each side. Isn’t that amazing? So many innovative ideas put into action with this bag. With High-density foam padded back panel having large Airflow channels and uniquely contoured internal frame structure, helps keep your back cool and dry. Dual mesh pockets on either side. T ired of carrying huge backpacks? With the Kelty Redwing 44 Backpack, you will be quite on the lighter side and won’t be bothered with the excessive weight. Personally speaking, the bigger the bag the more room for extra stuff that I might or might not need. This carry-on backpack is small but it does not compromise on the shoulder or waist padding. Comfortable shoulder and waist pad keep you safe from the soreness you might face. Laptop compartment! Can you believe that? The writer in me just couldn’t stop myself from grinning. Yes, I miss the extra pockets on the belt but the easy stash pocket is amazing to keep your jackets or sweaters away without having to open the bad or any zipper. The structured Internal frame to keeps your backpack and your shoulder in shape. Solid waist belt keeps the weight of the bag to the waist protecting your shoulder. High Sierra Titan 65 Frame Pack is made up of light material to keep your hiking comfortable and easy. It is slightly a large bag if you plan on hiking for a day or two. It has a large pouch for your internal camel pouch. I like the easy stash front pocket that allows you to just stash away your raincoat or your jacket if it suddenly stops raining. No need to reach for the zippers. The top can be closed off by pull string and an extra cuff on the top. Dual mesh pockets on the sides of the bag not only gives you extra space but also allows you to see what you put and where. Compact and multi-layer hip belt construction with easy pull-forward function in this Deuter ACT Lite 50+10 Hiking Backpack allows you to shift your shoulder weight into your hips. It doesn’t reduce your weight but definitely will make you feel like you did. You are walking in the rain with your rain jackets on and suddenly it stops raining. You will need a space to stash in your jacket without having to carry it around wet. The easy to stash mesh pocket in the front gives you easy access to stash in your jackets or raincoats. As simple as that. There are small elasticated tabs in the front of the bags that comes handy when you need to hang things like poles or such. Though it looks small it is a useful feature of the bag that I simply love. Polyester and synthetic. Streamlined and with small details on the bag, makes all your traveling interesting and manageable. The shoulder harness is moveable to fit our body frame and the center chimney in between the shoulder pads allows cool air to pass through and keep you cool. As you move, it contours to the back, keeping you comfortable throughout your trip. and simple. The load lifter straps distribute your shoulder load to your hips. And ample of shoulder and hips padding keeps you comfortable. Large mesh pocket in the front, small pockets on the sides, one on the top cover and one on the bottom keeps your things separated and managed. This is not it, small loops and adjusters keep you from hanging your boots, helmets or even poles. P ockets, pockets and more pockets, the Kelty Coyote 80 backpack comes with a lot of pockets in all the right places to keep you organized. A combo of organization, price, accessibility, durability, and comfort, this backpack gives you all. It has a perfect fit, highly adjustable adjustment system. It allows you to adjust the back to meet your comfort. Air mesh back panel is bound to keep you ventilated and cool. The aluminum frame maintains the structure of the bag and shifts the weight of the bag to the waist. The best thing about this bag is the front zip that allows you to access into the main compartment. Forget about putting your hand inside and searching for ‘that one thing’. Wait, this is not it, the top cover comes off and can be turned into a sling bag. High Sierra Long Trail 90 Internal Frame Pack is a backpack you want to carry if you are on for a longer trip. As the name makes it pretty much clear, it has the capacity of 90 liters and it does hold on a lot of stuff. The Ergo fit adjustable back gives you comfort, ease, and easy adjustability. And the mesh airflow panel channel keeps your back cool. Though it doesn’t have pockets on the belts, the front and sides pockets are comparatively big compared to other bags and can hold a lot of stuff. You will be amazed by the size of the sleeping bag compartment area and the zipper that allows access to the main compartment. The divider flap opens completely to make the main compartment pretty big. Like I said, if you are off for a longer trip, this bag is the best pick. The TETON Sports Scout 3400 is a durable and simple hiking pack. Its lumbar support system protects your back with the full adjustment system. Diamond weaved mesh at the front and the side allows you to just slide through some extra gears. Concealed pocket on the top flap gives you some extra compartment. And the extendable neck allows you to add in some extra stuff. The neck has double draw through string so that you can adjust to your packaging accordingly. Top load with an extendable sleeping bag compartment to suit your traveling gear size. The shoulder and the belt straps are made out of highly breathable and soft pads to make you feel comfortable and keep you cool. Lower sleeping bag compartment and a zip that allows access to the main compartment. Jumping straight into the topic, I would say that a proper backpack makes your hike or trips a lot more comfortable and enjoyable. Backpacks are not only made to carry your stuff but also to complement your body type so that you do not actually feel the weight. They make your camping or hiking a lot easier and comfortable. And of course, handy too. So, yes they are an essential pick. Before jumping right into buying a backpack there are certain things you need to consider and look out for. Let me give you a heads up on they key points that you need to keep in mind while getting one. Opting for a backpack that has a proper frame will go a long way. Believe me, I speak from experience on that one. Also, remember to check the ventilation and the air flow passage at the back. It will keep you cool and relaxed. When looking for a backpack the price and comfort are not proportional to one another. Some backpacks can be pricey but lack the comfort that you are looking for while some, on the other hand, can be cheap but could be a savior. So you need to look at the details carefully. Finally, depending on the duration of your trip, you should look for a bag. You definitely do not want to buy a 90 l backpack for a weekend trip, it’s just extra weight you will be carrying. For longer trips, you will require a higher capacity bag. The Osprey Packs Exos 48 Backpack wins my best backpack spot. Points for its comfort and durability. This bag is a complete combo of a comfortable and highly innovative design. Lightweight and comfortably sized, this bag gives the best a backpack has to offer and that too under a super affordable budget. The top lid that can be removed can instantly reduce your weight just in case you instantly need to shave some. The perimeter frame and contoured shoulder straps are super comfortable and make you feel lighter and allow you to enjoy the things around you. After all what’s a camping trip if you don’t get to enjoy the nature and the smaller things in life. Isn’t it? I could just go on and on about why I love this bag so much, it made my trip a lot lighter and organized with the mesh pockets and smaller features here and there. I loved it and it has to be my best pick and you suggest it to any of my friends, again and again. But, you will have to check it for yourself to actually know what I am talking about. So, go ahead, grab your piece.